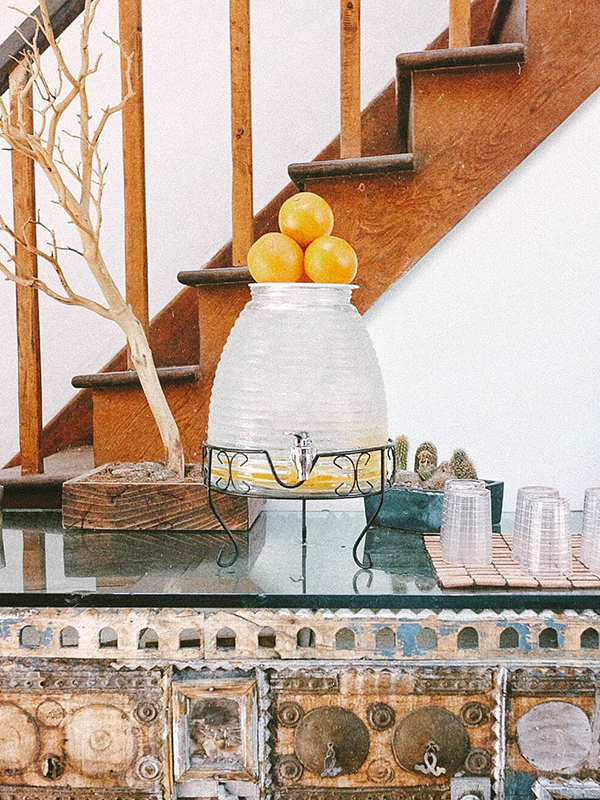 In April, I wrote a blog post recapping my first year living in Palm Springs. I also did an “ask me anything” on Instagram stories not too long ago, and it seems like many of you are intrigued by what my life is like out here in the desert. 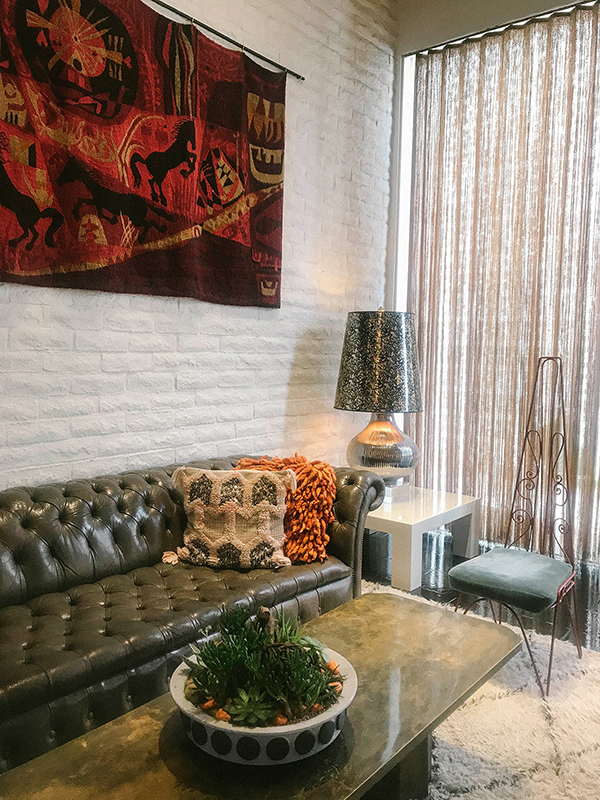 So, I’ve decided to start a new “Palm Springs” category under “Lifestyle,” where I’ll be sharing fun tidbits about Palm Springs living you won’t want to miss out on! If you are planning to visit Palm Springs or simply curious about what my life is like here, visit this category often for updates 🙂 Since a few of you asked about hotels in the area, I’m starting this series with 10 photogenic hotels in Greater Palm Springs that are worth checking out – or potentially staying at, if you’re in town for more than just a day! In case any of you plan to do a “hotel tour,” I will try to work my way from North Palm Springs (as you get into Downtown Palm Springs, basically) all the way to Indio, which covers a good chunk of Greater Palm Springs. Okay, I lied. 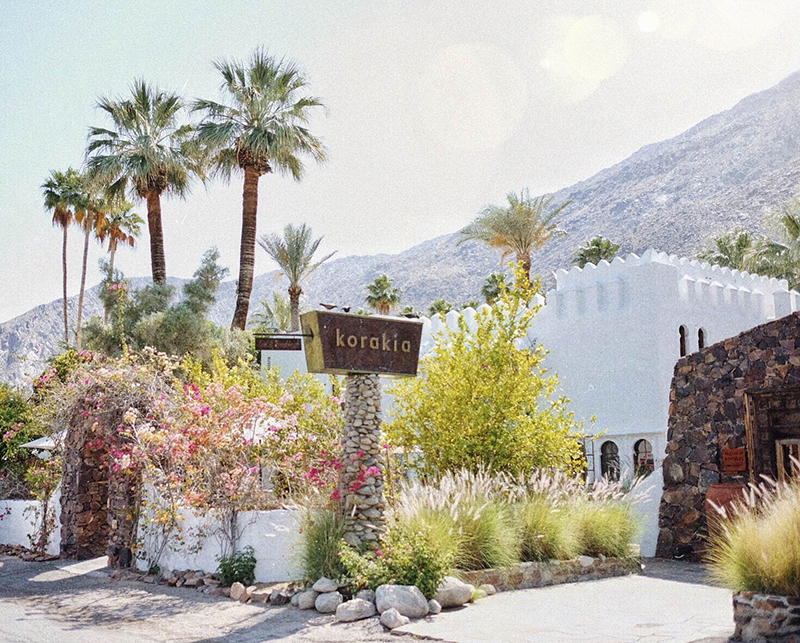 I’ve already gone on a detour on our hotel tour – only because Korakia is literally my FAVORITE hotel ever in Palm Springs. If you’re crunched for time, you must at least see this one! Staff can be sticklers about photography on a DSLR, but understandably so because they are a very unique boutique hotel. The good news is, iPhones do a pretty good job taking pictures these days. They haven’t been opposed to me snapping away on my phone and that’s how I was able to get these photos to share with y’all! 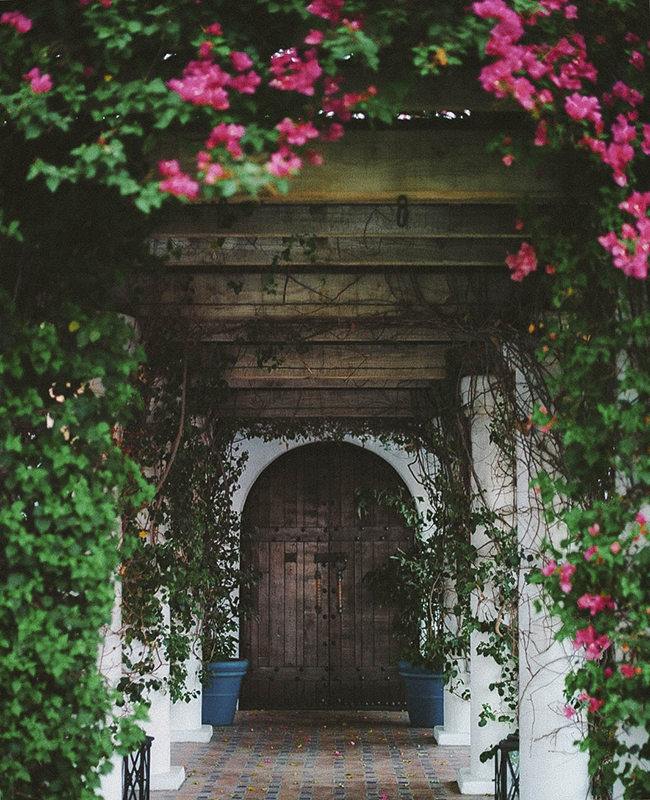 Korakia is ornately decorated with boho/rustic vibes, and provides an intimate setting for a romantic getaway. We actually pulled a lot of inspiration for our home decor from Korakia. I eventually picked up the fact that they get a lot of their stuff from World Market. How do I know? There are some pieces that they have, that we were able to find at the store, such as their sun umbrellas, lounge chair cushions, breakfast plates, etc. I know, I’m obsessed! 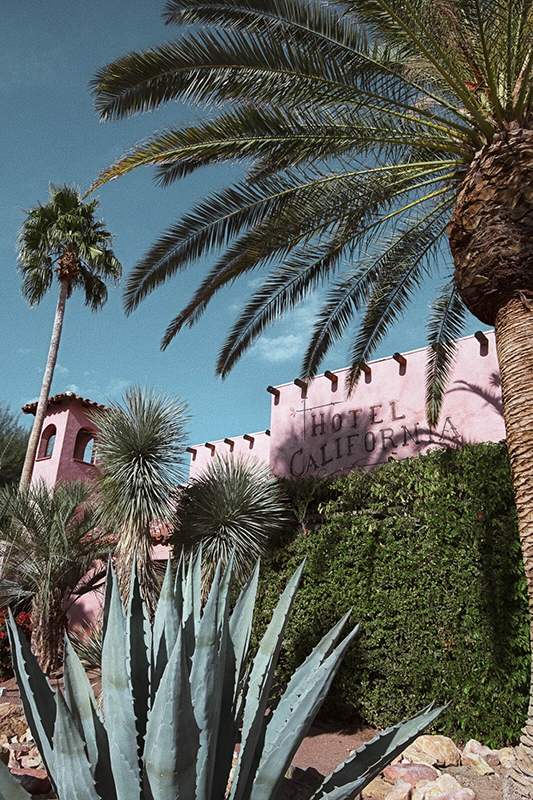 Heading towards South Palm Springs, you’ll see a bright pink hotel with Spanish charm, called Hotel California. 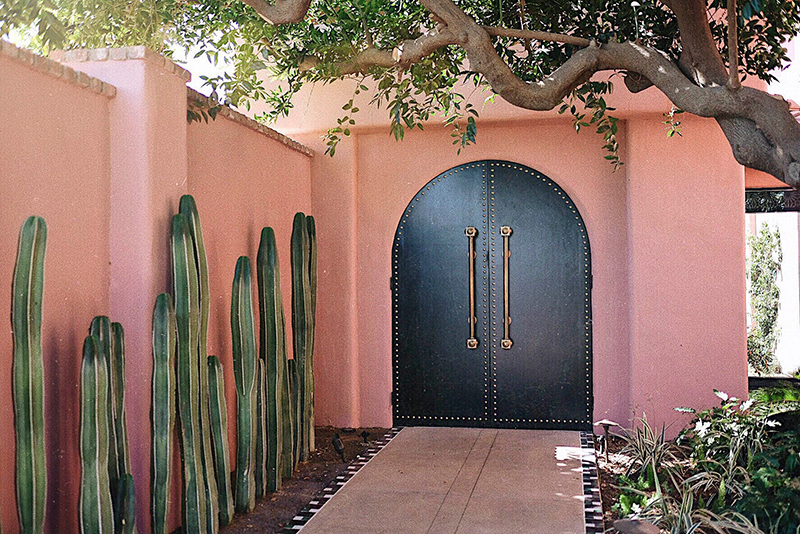 The front is beautifully decorated with a variety of succulents and cacti you’d normally see in the desert. Just from the outside, you can get super cute photos. In the parking lot right next to the hotel, there is an intricately designed doorway that reminds me a lot of Bali. This is a must-see if you’re at Hotel California. 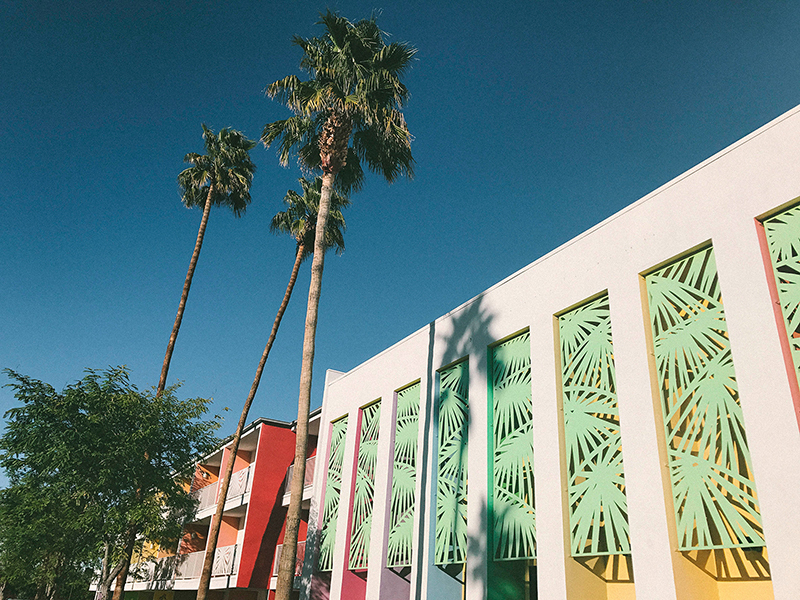 It’s pretty hard to miss The Saguaro – and you may have already seen it a billion times on Instagram, because it’s known as the very colorful hotel! It also caught my eye when we were first driving around the area and house hunting. Despite the fact that Palm Springs is known for being a retirement community for old rich people, I’ve heard that a lot of the youngsters like to hang out around here. Staff members are pretty friendly about people casually wandering in and out. 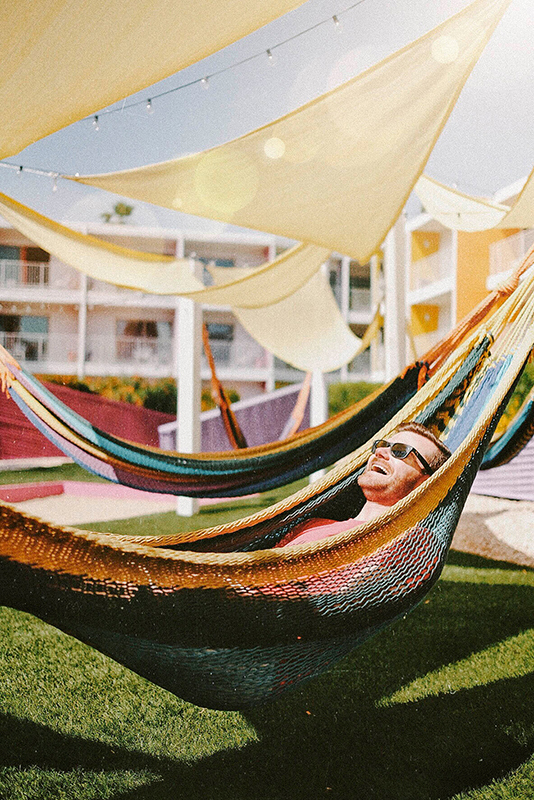 We’ve taken a few of our friends here and they always enjoy the colorful hammocks in the back of the hotel behind the pool! We literally lived 5 minutes away from The Parker before we moved into our new house. Upon entering, you’ll be greeted by a striking orange door, which a lot of tourists like taking pictures of. 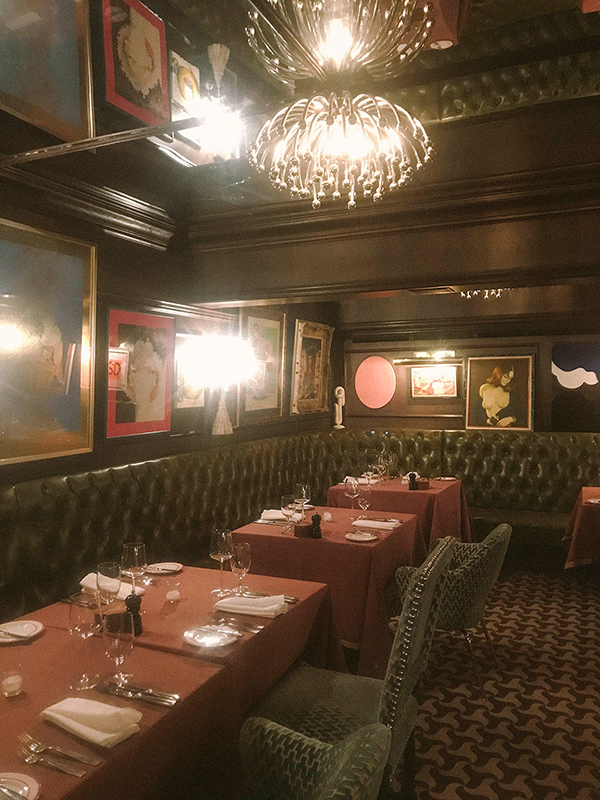 The Parker is an eclectic, fun, and extremely photogenic hotel. 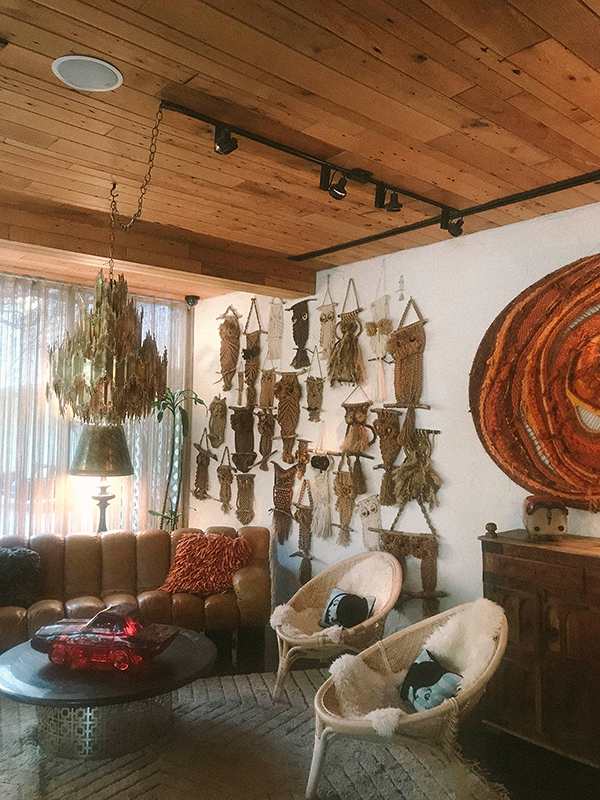 Similar to Korakia, their lobby also has that rustic vibe going on, and is quite cozy to hang out in. At the same time, some of the rooms have a very clockwork orange feel to them. The hotel has a super cute lemonade stand which is only open to visiting residents, so unfortunately I haven’t had the chance to check that out in person yet. We have yet to do a staycation in the area, and The Parker is top on my list to stay at. 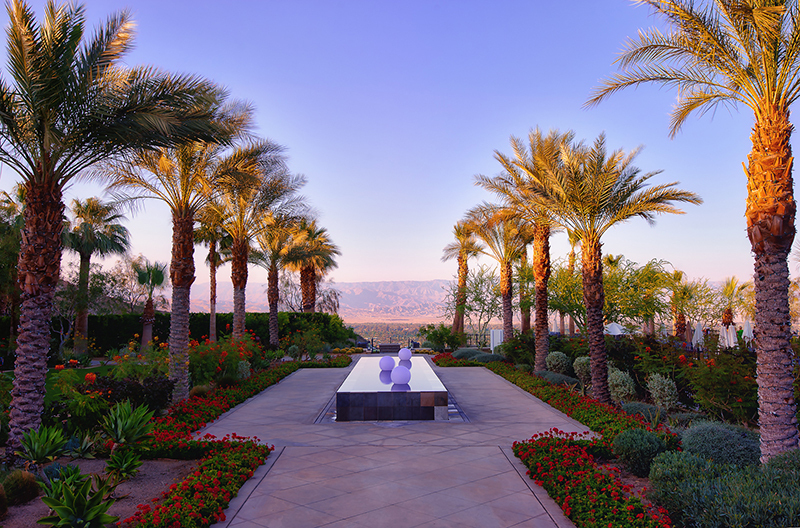 When we first moved to Palm Springs, The Ritz-Carlton at Rancho Mirage was one of our favorite spots to watch the sunset. 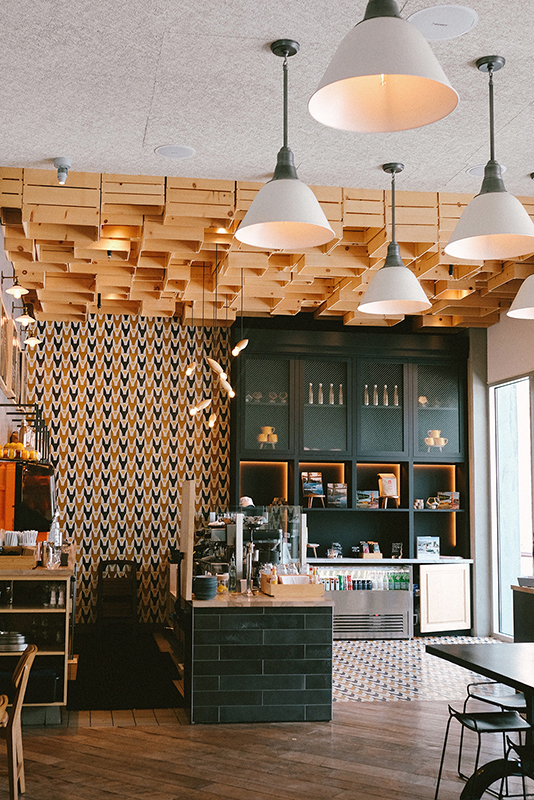 They offer complimentary valet parking, and everyone is welcome. The view from the pool area is absolutely stunning, especially when the sun goes down. If you are traveling with a dog, you’ll be pleased to learn that this hotel is pet-friendly. They even have little poop bag stations should you need to clean up after your pooch! We have dined at one of their main restaurants, State Fare, which offers many delectable choices. The delicious food paired with the million dollar view is simply unbeatable for a nice date night or any celebration with friends! Fancy seeing some flamingos? 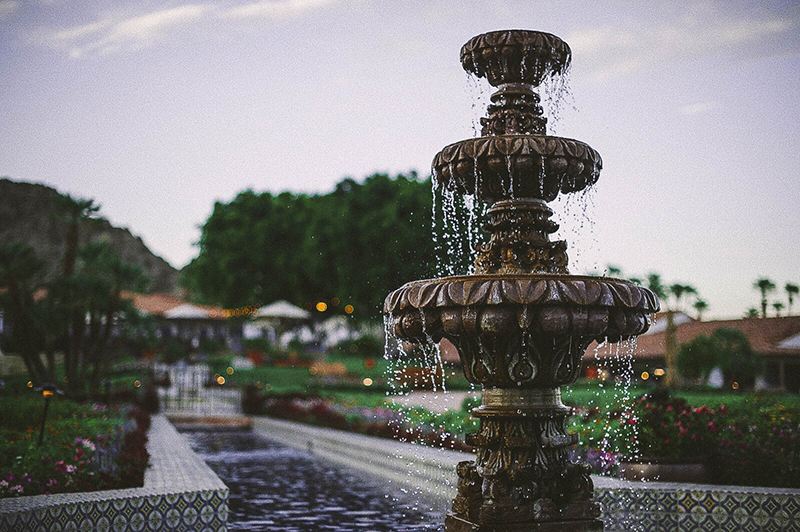 You heard that right – head on over to Desert Springs in Palm Desert! The entrance is beautifully lined with palm trees and as you get in, you’ll see pink flamingos hanging out in front of the hotel. It’s pretty cool! I bet you didn’t expect to find these cool creatures out in the desert. Desert Springs offers complimentary boat rides around their premises, which I was fortunate enough to experience during slow season. It’s typically busy, and you often have to wait in line to get on a boat. It’s totally worth it though! If you make your way out to Indian Wells, you must check out Sands Hotel. From the outside, it looks like another ordinary hotel that happens to be pretty in pink. I promise that it’s much more than that though! 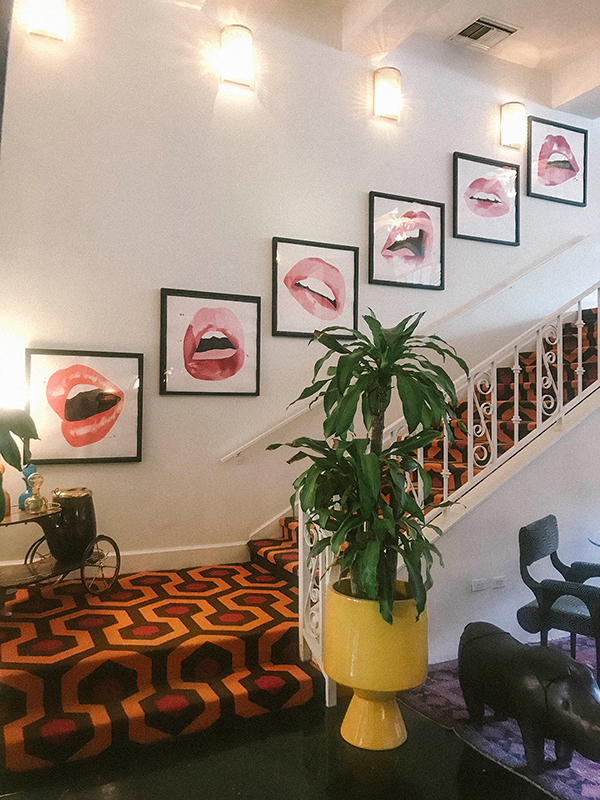 The entrance of this designer boutique hotel is already super Insta-worthy. 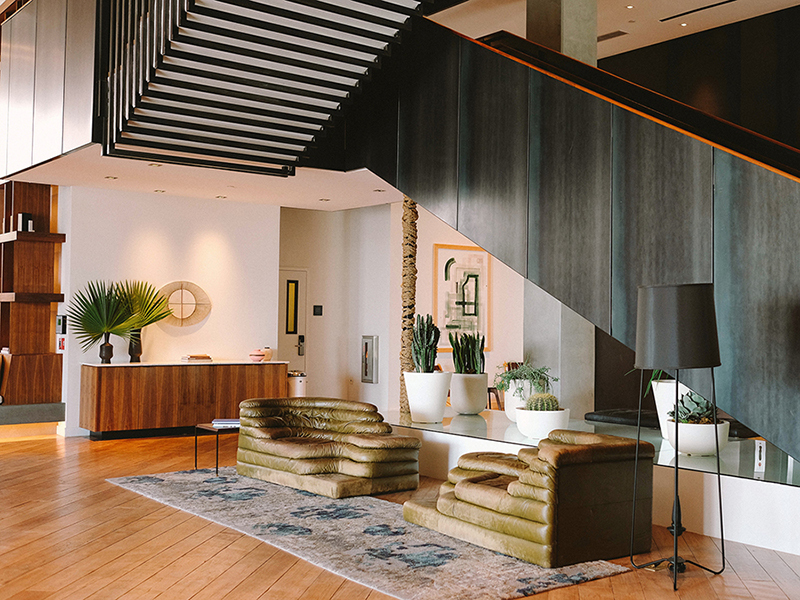 Wait until you walk into the lobby – it seriously took my breath away. 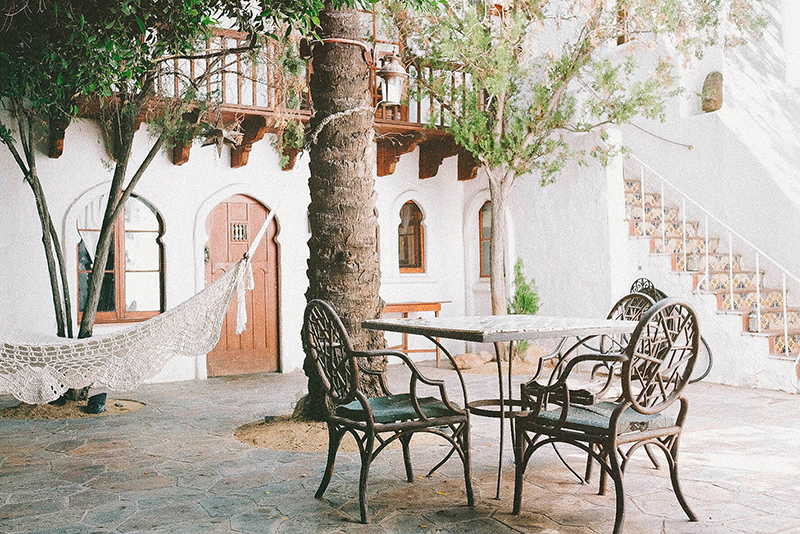 Major Moroccan vibes. I am still dreaming of a trip to Morocco end of this year, but if I don’t make it I might just treat myself to a staycation here. They recently opened a restaurant in there, which is open to the public. 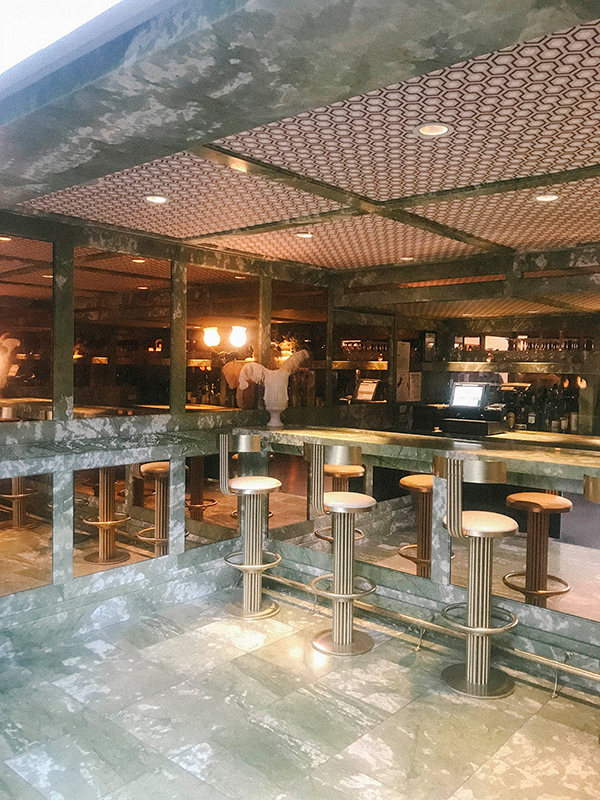 The Pink Cabana is a very pretty brunch & bar spot, for any of you craving some food and and a refreshing drink! Not too far off from Sands Hotel is La Quinta Resort & Spa. This resort is literally photogenic at every corner. I feel very ~zEn~ every time I visit La Quinta Resort. Something about walking around the premises is super calming, especially after a long stressful day. The good news is, staff members are very welcoming and friendly; nobody seems to care about people taking pictures on their DSLRs. David and I often shoot here because we’re able to crank out multiple looks in seemingly very different “locations” within this resort! There’s greenery, clean white buildings, rustic wood backdrops, you get the idea… Also, there are a few restaurants in the resort if you get hungry during your visit. 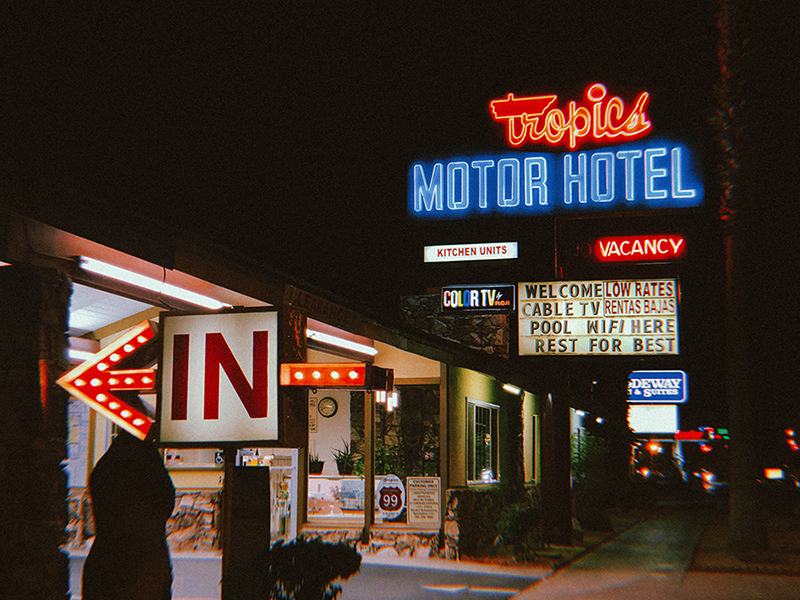 Far from your typical luxury hotel, but if you’re looking for a quick shoot spot with character and vintage vibes, you’ll love Tropics Motor Hotel. This quintessential road motel is located in Indio, a more run-down area of the Coachella Valley, about 30 minutes from Palm Springs. Unless you’re staying at the hotel overnight, there is no easy parking nearby. Tough parking is actually rare in the desert, but you can easily work around it by parking at the gas station nearby, or on the residential streets nearby and walk to the hotel. The sign in front is the photogenic spot – it’s beautiful when lit up at night too! 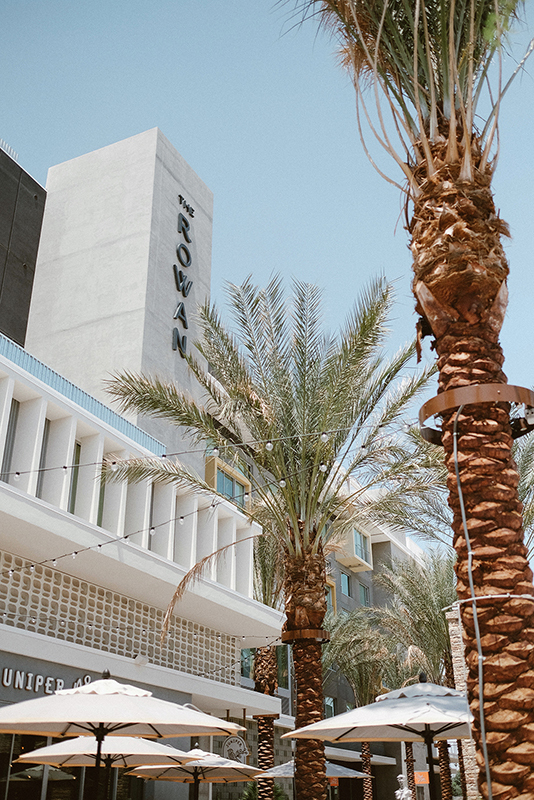 Have you been to any of these iconic Palm Springs hotels? Ahhhh! I’ve been waiting for this post for what feels like ages! Thank you for finally getting to it and sharing your favorite hotels. They are all so pretty and indeed photogenic. I can see why you love Korakia so much. 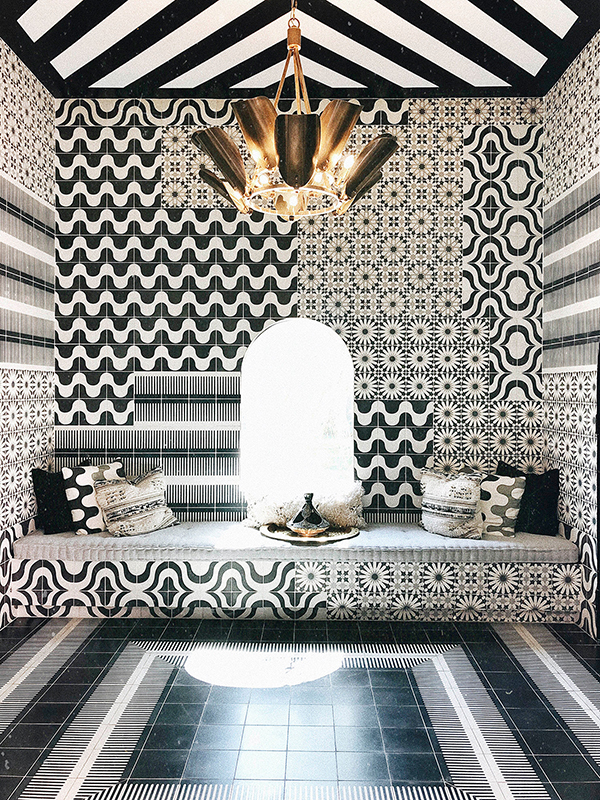 Personally, I love the Moroccan vibes of Sands Hotel & Spa – would love to treat myself to a vacation there one of these days. Can’t wait to book my flight to Palm Springs! Ooohhh I stayed at La Quinta Resort with my brother during tennis season a few years ago! I remember it being super gorgeous – totally a place to unwind and relax. Love their pools but I’m sure you guys have pools everywhere in Palm Springs. Your post makes me want to revisit soon!! I love the aesthetic of all of these! I will definitely be checking them out. Thanks for the info! Gorgeous and informative post as usual! Photos are stunning and reading this made me homesick for Palm Springs. That’s right, homesick for an area I now consider my second home! Thank you for the virtual tour. Can hardly wait for the next post about Palm Springs living! Oh my goodness this is such a great guide! 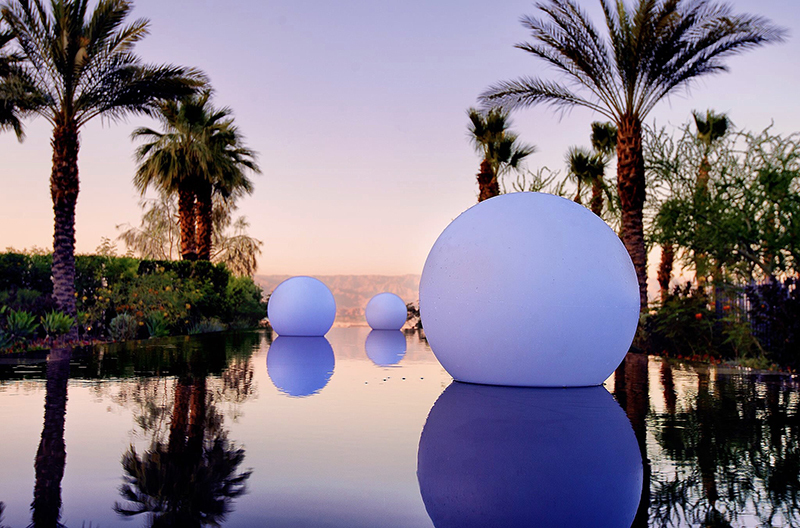 I’ve been planning a trip to Palm Springs and can’t wait to see these. Omg! The Sands Hotel and The Parker look like my absolute dreams! I’ve never been to Palm Springs but would love to go one day, maybe as part of a larger Cali road trip. Haha I moved to Palm Springs from LA! I personally am not a big city kinda gal – lol the traffic is difficult to deal with on an everyday basis but I do miss being closer to the beach. It is super hot this summer, and humid too! 🙁 Fall might be a better time to come lol! These are all such great hotels!! I have yet to visit Palm Springs let alone California but I’ll definitely keep these in mind the next time I go! Wow! I love this in-depth suggestions / guide. I’ve only been to Palm Spring once but, I definitely have to make another trip happen again. Thanks for sharing! I’ve never been to Palm Spring and really want to go, especially now after seeing your post. These hotels are so cute, I’m loving the pink flamingo at the Desert Springs. Omg! You have to come visit! Maybe in the fall when it cools down some? 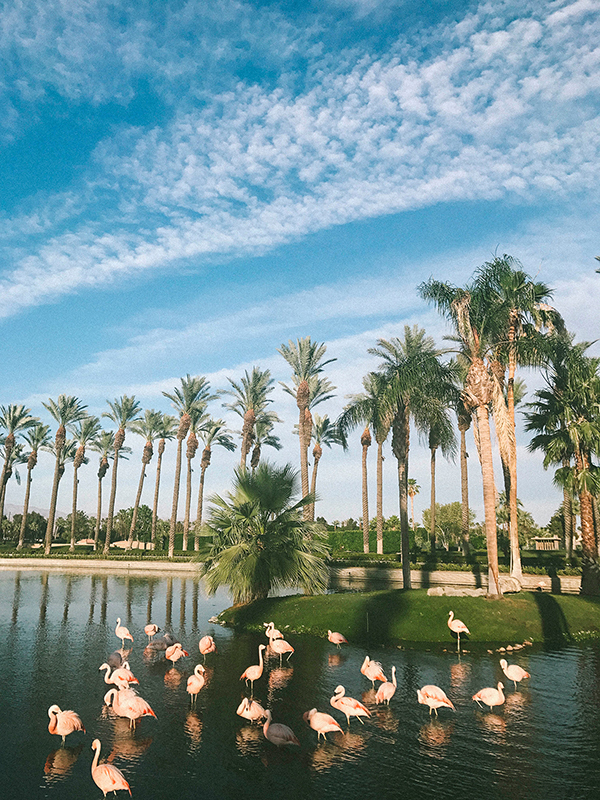 🙂 The pink flamingos at Desert Springs alone make it worth the visit! 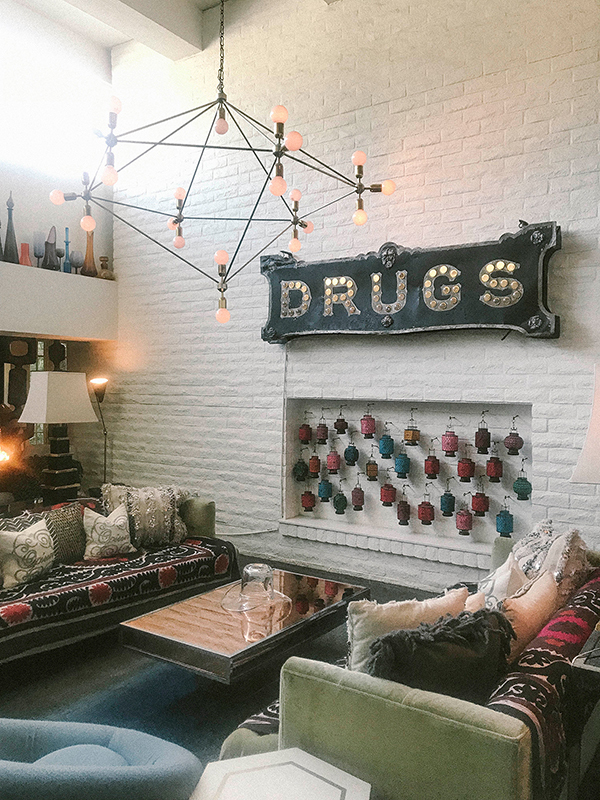 I didn’t realize Palm Springs had so many beautiful hotels worth checking out until I read your post! I am definitely taking notes for when I visit during a trip to California. Love this! Sands Hotel & Spa I’m coming for ya!! Ugh, it looks so pretty. I knowwww it’s super pretty; I love the intricate detailing! 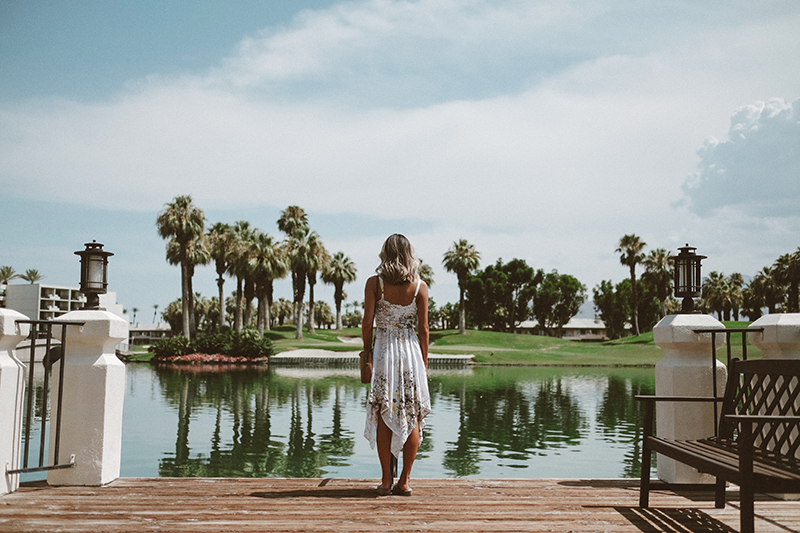 My fiancé and I had originally hoped to visit Palm Springs on our honeymoon – but it was just so expensive to fly there! Now you’re making me sad that we won’t be going because I’d love to visit all these hotels! Maybe someday! Omg noooo! I’m sorry that the flights were so expensive! I think it might depend on the time of year; you might be trying to come here when the weather is super nice and everyone’s trying to get here LOL! I had two friends visit me in April from NYC and I think they said that the flights then were pretty cheap. And the weather is pretty great that time of year in case you want to look again next Spring 🙂 Where are you honeymooning instead, darling? Beuatiful places to stay. LOved the photos. Wow!! These places are life!! I wish I can visit each and everyone of them! Thank you Helena! I am truly blessed to live in such a beautiful paradise, and be able to share it with so many people through photos. I hope you’ll be able to experience it for yourself in Palm Springs one of these days. These all look so amazing and picture worthy!! Definitely bookmarking this for future reference, makes me want to visit asap! Palm Springs has been on my bucket list for the longest time. I will definitely stay at one of these hotels when I go! Palm Springs is definitely a bucketlist worthy place! Good choice, Suzan! Wishing I was closer! I want to shoot at all of these places now! They are all so fun and unique! Definitely worth checking some out if you ever come out to Palm Springs. Have a great week, Tara! Omg you make me want to visit them all! Such beautiful locations! I love the vibe and decor of them! I’ve always wanted to go to Palm Springs! I’m bookmarking this post so that if I ever go, I’ll know where to stay! OMG these pictures are stunning! I just love Palm Springs, there’s nothing better than spending a weekend away there! Thanks Adriana! Glad you like the photos. And I couldn’t agree more… living out here is like being on vacation everyday! LOL! These all look so great in different ways. I’m not sure how I would be able to choose! Wow your photos are absolutely amazing! So beautiful! I’ve never been to Palm Springs but you just made me wanna go so much! 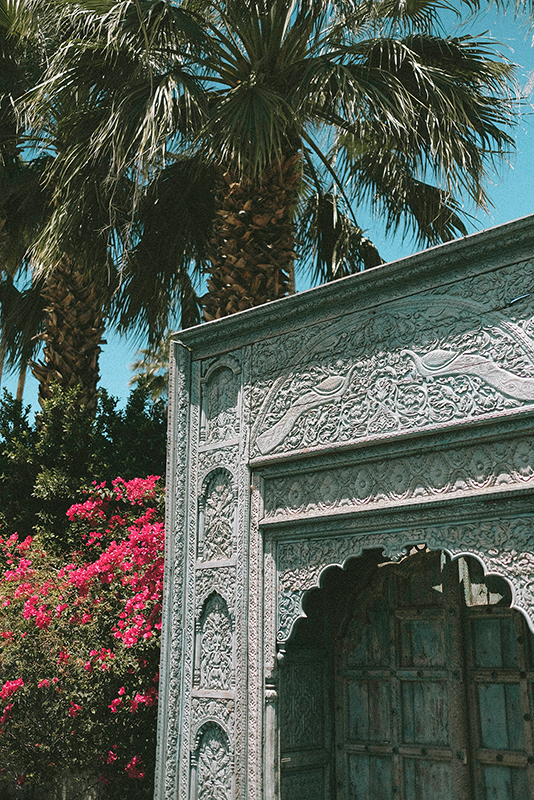 I love seeing all of the beautiful photos of Palm Springs and it’s definitely a place I need to visit! These hotels are all so beautiful – I need to visit each one! Thanks, Emily! Hope you’ll be able to come explore these gorgeous hotels very soon! Stunning shots of all these hotels! You make Palm Springs look so beautiful. Hope to make my way out there very soon! Thank you! Palm Springs is beautiful so I don’t have to try too hard 😉 You’ll love it if you’re ever able to make your way out! I’ve never been to Palm Springs, but now I’ll have to! Look at all of these cool places to stay! I want to go to Palm Springs so badly! HOW FUN. These all look great! Hopefully I can visit at least one of them at some point! Wow I love the aesthetic of these photos! Gorg babe! A hotel tour is such a good idea! 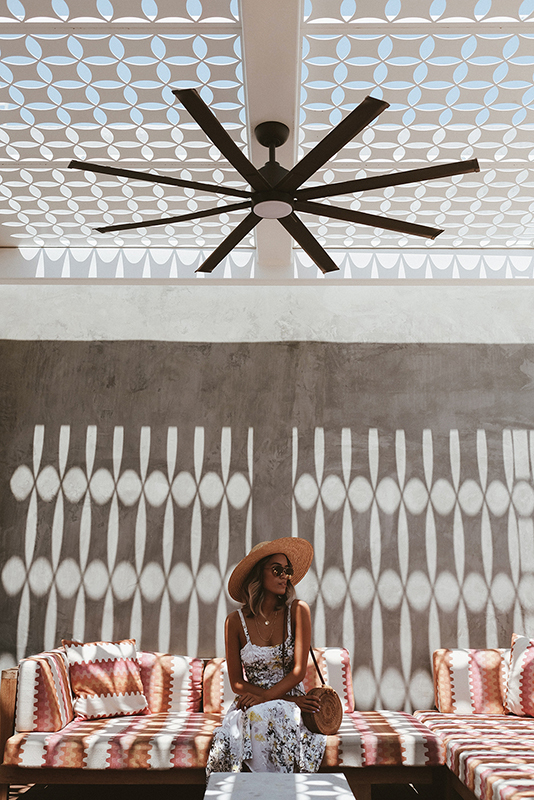 I am dying to visit Palm Springs after this post now! These all sound so beautiful! Such fun spots, love them! Each hotel is so chic! I’d love to visit a few. You would truly enjoy them all for their unique charm! Cool spots! I think the Horizon hotel is also great in PS. I have yet to check that one out! Thanks for the recommendation Laura! Saving this for my next trip to Palm Springs! Yayyyy! Hope you’ll find some time to come visit soon! Oh my gosh I need to go out to Palm Springs! Everything is so photogenic, it’s unreal. 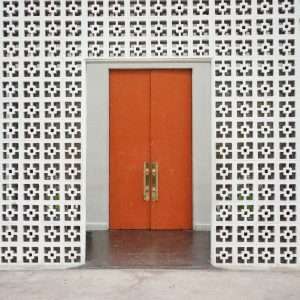 I really love your photography and the way you create your blog posts. So different then what’s around lately, and it’s very refreshing. Keep up the amazing content! 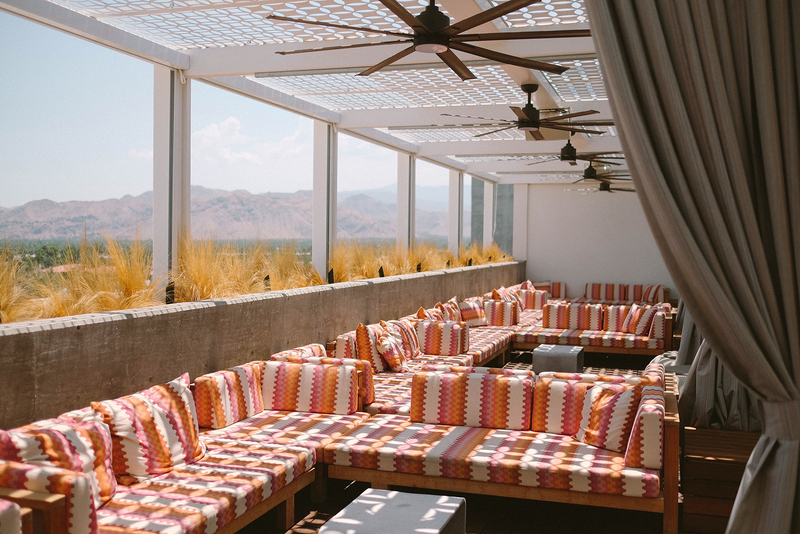 Palm Springs has been on my travel bucket list for ages and this makes me want to book a girls trip asap! So many cute places to take photos there!